Fay Holden was born Dorothy Hammerton on September 26, 1893. Miss Holden was born in England where under the name of Gaby Fay she took to the stage as a dancer at just 9 years of age. She became a comedienne and played the stage under the tutelage of Mrs. Patrick Campbell, who eventually brought both Fay and husband David Clyde (Andy's brother) to America (Harrison). Despite flopping in their initial effort the couple liked America and soon made their way to Hollywood where her first few film credits were still performed under the name of Gaby Fay. When Gaby Fay failed to become a movie star she changed her name to Fay Holden and was soon signed by MGM where she would play Mrs. Emily Hardy in 14 Hardy Family features. 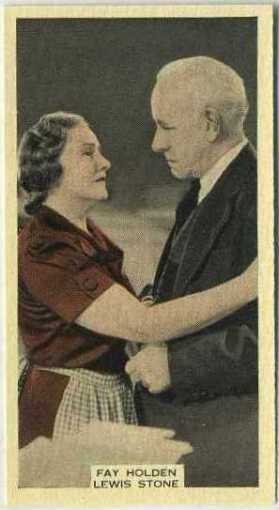 Holden came on as Judge Hardy's wife in the second Hardy film, replacing Spring Byington who had played the part in the initial effort of the series, A Family Affair (1937). Also making his Hardy series debut in You're Only Young Once (1937) was Lewis Stone, replacing Lionel Barrymore in the role of Judge Hardy. Holden and Stone played opposite each other in 13 of the features (Stone had died by the time of the 1958 reunion film) along with Cecilia Parker as daughter Marian and Mickey Rooney soon leading the series as Andy Hardy. Fay Holden had married David Clyde in 1914 and widowed him in 1945. The couple had no children. Holden died of cancer in June 1973. She was 79 years old. "Fay Holden Dies in Hollywood." Cumberland News 26 Jun 1973: 2. NewspaperArchive. Web. 25 Sep 2012. Harrison, Paul. "In Hollywood." Daily Globe 9 Feb 1937: 3. NewspaperArchive. Web. 25 Sep 2012. "Review." Bridgeport Telegram 5 Oct 1920: 14. NewspaperArchive. Web. 25 Sep 2012. 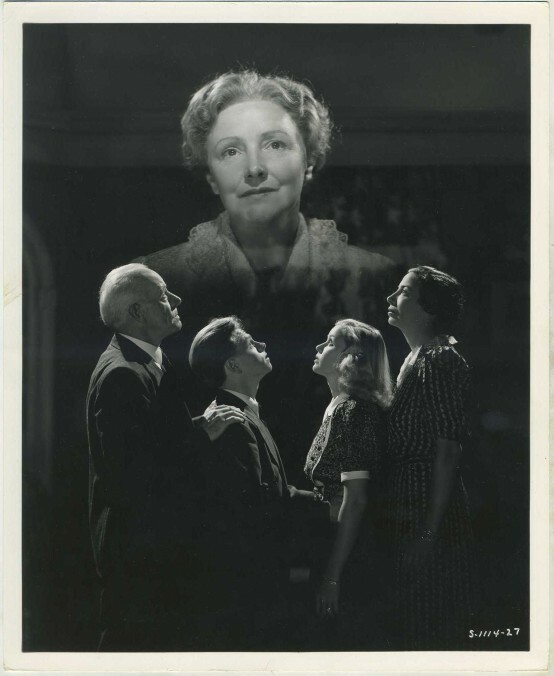 Does anyone have any information about this wonderful actress, Fay Holden?